Description: Apple, Amazon, and Google say their virtual helpers—Siri, Alexa, and the less snappily named Google Assistant—can make our lives easier by acting on our commands to book cabs, order pizza, or check the weather. But like all the other free-to-use goodies that tech giants offer up, these new personal assistants must also earn their keep. The companies aren’t saying much about exactly how their automated personas can boost their bottom lines, but they have clear potential to open up new lines of revenue. Perhaps most important, they could significantly increase the data that companies have on our preferences and everyday lives. 1. What is the revenue model to earn a revenue stream with these virtual assistants? 2. Which one do you anticipate being the most successful? Why? This entry was posted in Alexa, personal assistants, siri, speech-recognition and tagged Amazon, Amazon’s Alexa, Apple, Google Assistant, Social Intelligence, speech-recognition, virtual assistants on September 26, 2016 by nevis63. Siri is one of the new Apple TV’s most important features. It can stumble over proper names (“Keanu” took multiple tries but it nailed “Fassbender”), and Apple has saddled it with some key limitations. But ultimately, Siri is a neat way to surf TV. In addition to the Siri upgrade, the new gadget includes a fancy touchpad remote control, beautiful interface and an all new app store. Apple (AAPL, Tech30) calls it the “future” of television. 1. 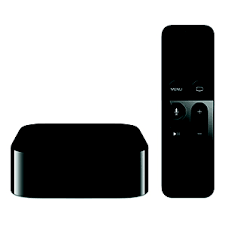 Are you an Apple TV user? Why or why not? 2. Does this product look like something you would adopt? Why or Why not? This entry was posted in Apple TV, Netflix, siri, Streaming media and tagged Apple, Siri on November 4, 2015 by nevis63.